Looking for one room for a night, or 1,000 rooms for 1 week? Let us surprise you with our fantastic range of high quality bedrooms. Offering single, double and twin bedrooms and group or family apartments, we have something to suit you and your budget. Choose from our 10,000 bedrooms that are available from May to August each year, while Maynooth University, can offer you 65 bedrooms all year round. Maynooth is just 26km from Dublin, thus a great base to explore this amazing city. 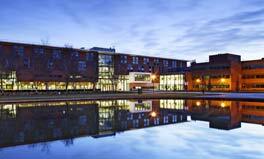 All our universities provide full service with linen, towels and daily housekeeping. Dublin City University located in North Dublin is 15 minutes by car from the city centre and 10 minutes from Dublin International Airport and has three beautiful campuses on offer. 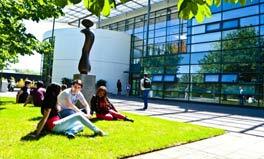 The locations are DCU Glasnevin, DCU All Hallows and DCU St Patrick’s. Each campus has its own unique offering with the three properties offering over 1,500 bedrooms with private bathrooms and modern facilities including WiFi throughout. A hot buffet breakfast is available each morning in all properties. Guests can enjoy on-site facilities such as multiple restaurants, pharmacy, mini supermarket, spa and swimming area and a campus bar on the Glasnevin Campus. Conferencing facilities are available all year round with capacities from 10 to 1,200 pax theatre style. DCU boasts one of Ireland's finest event spaces in The Helix which can accommodate international conferences for up to 1,200 pax. The Helix has won multiple international awards for its design and excellent staff. Beautifully situated along the banks of the River Corrib just minutes from Galway city centre and offering a range of bookable meeting, accommodation, dining and sports facilities, NUI Galway's 260-acre parkland campus is an ideal location for conferences, events and group stays. 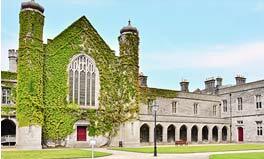 NUI Galway's Corrib Village, a picturesque 764-bed campus residence, offers comfortable 3 or 4 bedroom apartments. Goldcrest Village, the University's new, 429-bed campus residence, offers apartments comprised of four, five or six bedrooms, all with private bathroom. The University offers a wide variety of contemporary meeting facilities and a dedicated event management team. Meeting facilities include The Bailey Allen Hall, a multi-purpose venue with seating capacity for 1,000 and state-of-the-art AV. Tiered lecture theatres, a range of boardrooms and classrooms and extensive exhibition space and breakout areas are also available. NUI Galway offers an excellent range of indoor and outdoor sports facilities, multiple dining options to suit all budgets and interesting visitor attractions. 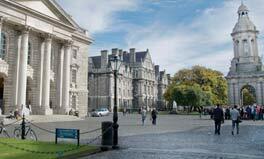 Trinity College Dublin, the University of Dublin, was founded in 1592. It’s bustling 47 acre historical campus is an oasis in the very heart of Dublin, a vibrant and safe European capital city. Host your event here and be inspired by our global community of thinkers, creators, scientists, artists, inventors and entrepreneurs. 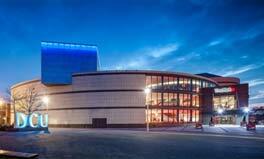 Trinity offers modern tiered theatres for maximum 400 people, numerous meeting rooms, exhibition spaces for up to 60 standard 3m stands, in-built registration, stunning reception or gala dinner venues including the famous Dining Hall where delicious menu options are available. The magnificent campus is famed for its historical architecture, cobbled courtyards and wonderful atmosphere. The Book of Kells Experience in the magnificent Old Library Building is not to be missed. This 9th century book is Ireland's greatest cultural treasure and the world's most famous medieval manuscript. With over 600 bedrooms on campus, including Heritage Guest Rooms, why not immerse yourself in our iconic venue and experience our unique spaces first hand. 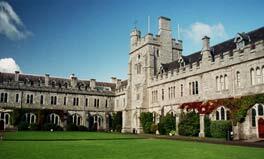 Originally founded in 1845 as “Queen’s College Cork”, University College Cork (UCC) is one of Ireland’s oldest universitiesn. Located in Cork City, UCC is easily accessible from Cork International Airport, just 8kms away. UCC Campus Accommodation offers exceptional value accommodation close to Cork City. There are four separate residences – University Hall, Victoria Lodge, Victoria Mills and Castlewhite. All four residences are located close to the River Lee and a short walk to UCC and Cork City Centre. We cater for individuals, families, language schools, summer students, sports groups, conferences and much more from May - August each year. UCC Conference Office offer a wide range of excellent facilities. Our successful and elegant combination of the old and new provides an inspiring and tranquil setting for conferences, seminars, meetings and Study Abroad groups. Visitors may also book the Mardyke Arena, a state of the art indoor world of Sport, Leisure and Recreation. Maynooth Campus dates back to 1795 where Maynooth University and St. Patrick’s College share a modern campus rich in history and character. Located 25 minutes by car from Dublin International Airport and Dublin city centre. Situated on the M4 and with excellent public transport connections, Dublin and beyond is easily and quickly accessible by train or bus. 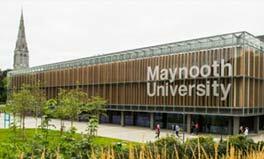 Maynooth Campus offers a choice of 100+ meeting rooms with seating capacities ranging from 25 – 440 people. Up-to-date AV facilities are included. We also offers accommodation ranging in style and price, from student-style apartments on the North Campus to Superior Heritage Suites on the South Campus. With 65 bedrooms available all year round and 1,300 bedrooms during the summer months there is plenty for guests to choose from. There are numerous dining venues which organisers may avail of including the modern university restaurant which seats up to 600 or the splendour of the Gothic Revival space Pugin Hall which seats 360 guests. Conference & Sports Campus is the ideal location for large conferences & meetings. Conveniently located 3km from Limerick City and within easy reach of Shannon Airport, University of Limerick Conference & Sports Campus is equipped with all of the facilities needed for successful conferences, events, meetings and exhibitions for up to 1,000 delegates. With six attractive on-campus villages, 1,500 large bedrooms with private bathroom in apartment style complexes are available in addition to 1,000 standard rooms in terraced houses. From a boardroom meeting to the magnificent 1,000 seat concert hall, University of Limerick offers a wide choice of flexible spaces for events including tiered lecture theatres for 320 delegates, exhibition spaces and 60+ breakout rooms. All are equipped with modern AV equipment. High quality conference and event catering is available in a variety of restaurants with multiple catering options available. The dedicated event management team offer a comprehensive event management service from conference registration to meeting & catering planning to budget management.